Normally I wait until I see the first chip in my manicure to write a product review for nail polish. 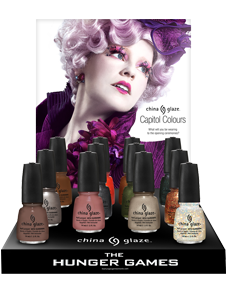 But in the case of China Glaze's limited edition Hunger Games Capitol Colours collection ($8 each at Spa Boutique), waiting that long might mean by the time I publish the review, all the colours will be gone. Yes, they really are selling that quickly according Spa Boutique, who sent me three colours from the collection to review: 'Stone Cold' (a metallic pewter gray), 'Riveting' (a bright metallic orange), and 'Stone and Ashes' (a black flecked with fine green glitter). 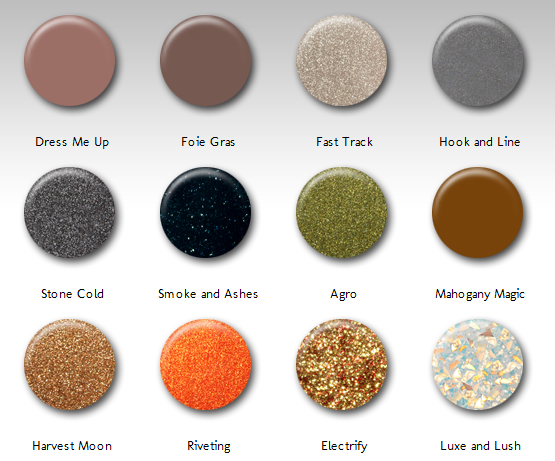 As with China Glaze's other polishes, the ones in the Hunger Games Capitol Colours collection contain no toluene, formaldehyde or DBP and are formulated with hardeners for longer-than-average wear. I'd previously tried one of their glitter polishes and been very pleased with it. Unlike Revlon's newest polish, China Glaze doesn't require special base or top coats to achieve their promised longevity. The colours in the collection range from pretty neutrals to dark rich shades and fun glittery ones, and are inspired by the districts and themes in Suzanne Collins's popular Hunger Games trilogy. May the odds be ever in your favour (of snagging a bottle before they're all gone, that is). P.S. Has anyone seen the movie yet? What do you think? OOO I like how your nails came out. I'm hoping I come across them. 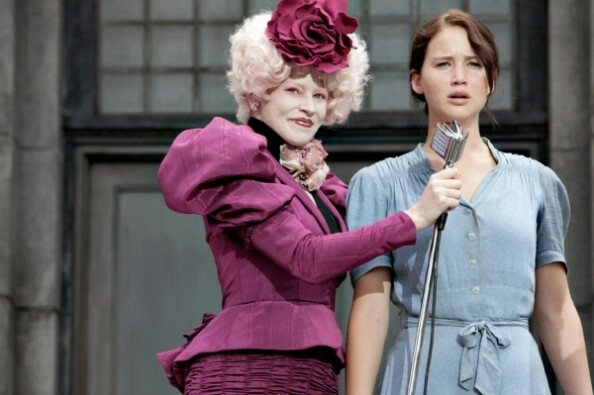 I just love anything Hunger Games! Love how you did your nails with the colors. I love how the smoke ashes looks, I need to get this nail polish! I love Hook & Line and Foie Gras. The movie was just okay, no? On the second book now... taking my time. Considering all the ways they could've mucked it up, I thought the movie turned out pretty well. Stanley Tucci was probably my favourite part. I bought the whole set for $58 shipped on Amazon. Definitely a huge savings compared to the $8 per bottle price. Read the book seen the movie. I was quite happy with the book except for the change of the mockingjay pin's origin. I wouldn't have made that change myself. I encountered something strange. I have the whole collection and I noticed that all of the polishes EXCEPT Luxe and Lush contains Formaldehyde Resin on the ingredients. I don't understand why on all the sites selling these it says its 3 free. It really disturbed me to see this and I just wanted to let you guys know just in case. My China Glaze in Splish Splash did NOT have it while my China Glaze in Rainbow did. My O.P.I in Senorita Rose-Alita also had the Formaldehyde Resin, but my O.P.I in Grape...Set...Match did not it had been replaced by Epoxy Resin. This is so strange to me and quite worrisome as well. Just wanted to let you guys know because I then went on a rampage through my collection looking at the labels lol. I have quite the large collection and reading those microscopic labels was quite the task lol :-D. It scares me because I tend to chew my polish at times and our fingers do come into contact with our mouths more than we like to admit. The other funny thing is that the $1.99 Sinful Colors polishes do NOT have any of those harmful chemicals yet the expensive China Glaze and O.P.I do. I also can't chalk it up to the fact that those colors are old because obviously The Hunger Games Collection is quite new as well Splish Splash.